Radhika Apte’s English film Parched directed by Leena Yadav and produced by Ajay Devgn is now all set for release on 23rd September. Ajay took to Twitter to make the announcement. He also mentioned that the film’s trailer will be out on 9th September. 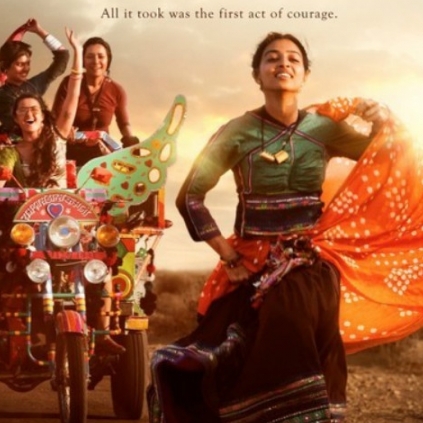 The film also has Surveen Chawla, Tannishtha Chatterjee and Sayani Gupta playing other important roles. Notably, the film has already been showcased in 24 International Film Festivals and has bagged an outstanding number of 18 awards. Along with Parched, Riteish Deshmukh - Nargis Fakhri starrer Banjo will also be releasing on the same date. People looking for online information on Parched, Radhika Apte will find this news story useful.